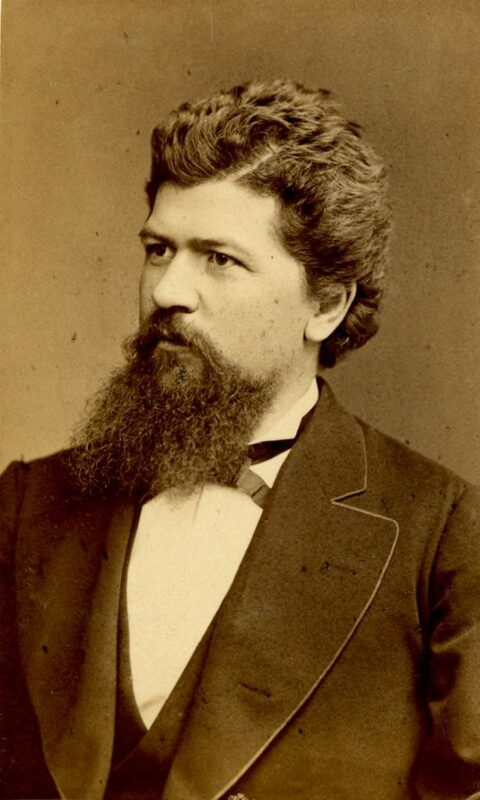 George Augustus Koenig was born in Willstatt, Germany, on May 12, 1844. After attending the school of the Moravian Brothers in Lausanne, Switzerland, he studied at the Polytechnic School, Karlsruhe, Germany, where he received a degree in mechanical engineering in 1863. He continued his studies at the University of Heidelberg from 1863-1865 and then at the University of Berlin, where he received his degrees of Master of Arts and Doctor of Philosophy in 1867. 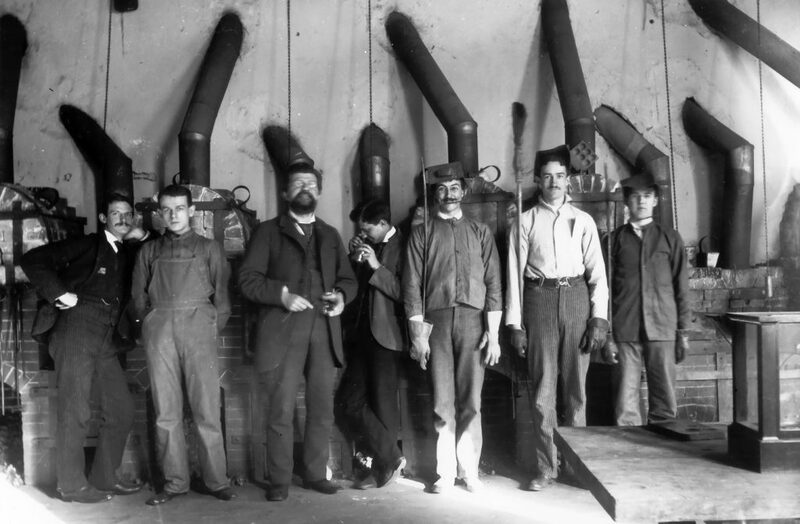 After relocating from Germany to the United States in October of 1868, Koenig worked in industrial chemistry, first manufacturing sodium stannate from scrap tin and then as a chemist at the Tacony Chemical Works in Philadelphia. Koenig began his career at the University of Pennsylvania in 1874 as assistant professor of chemistry and mineralogy. He was subsequently appointed in 1879 as acting professor of geology and mining and then in 1886 as professor of mineralogy and metallurgy. Not only did he come to have charge of the teaching of metallurgy, mining, mineralogy, and geology, he built up a department of mining engineering and metallurgy. While at the University of Pennsylvania, he served on several committees, including the Seybert Committee and a committee which investigated the Keeley Motor. Koenig was an eminent scholar accredited for discovering and naming of the minerals hydrotitanite, randite, ledyite, alaskaite, beegerite, rementite, ledytite, footsite, paramelaconite, mezapilite, mohawkite, keeweenowite, stibiedomykite, and melanochalcite. He devised many new methods of chemical analysis, laboratory apparatus, and chemical and metallurgical processes. Koenig played a vital role in the scientific community locally and nationally. He was a friend and colleague of Joseph Leidy as well as a frequent contributor to scholarly journals and a member of the Academy of Natural Sciences, American Philosophical Society, Franklin Institute, American Institute of Mining Engineers, Lake Superior Mining Institute, and several other scientific societies. In 1892, he was appointed to the position of professor of chemistry at the Michigan School of Mines. George Augustus Koenig died of heart complications on January 14, 1913, at the Philadelphia home of his son, physician and metallurgist Dr. Augustus Koenig. He was also survived by his wife and his daughter Elsa Koenig Nitzsche, an artist and the wife of George E. Nitzsche; another daughter, Hilda Koenig, had died just a week earlier, on January 7, 1913.